If you have traveled out of Narita International Airport, you have probably seen this place. Their unfortunate sign made me dismiss them when I first saw it many, many years ago. 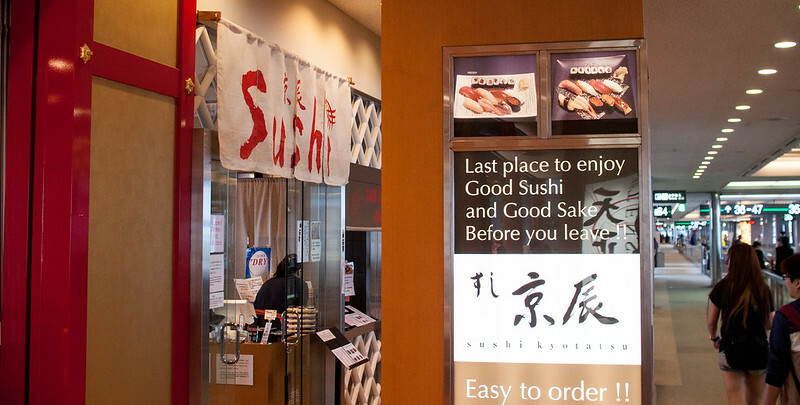 "Last place to enjoy Good Sushi and Good Sake Before you leave !!" Your use of capital letters is atrocious! Word crimes. Anyways, Kyotatsu turned out to be decent, though a bit overpriced. 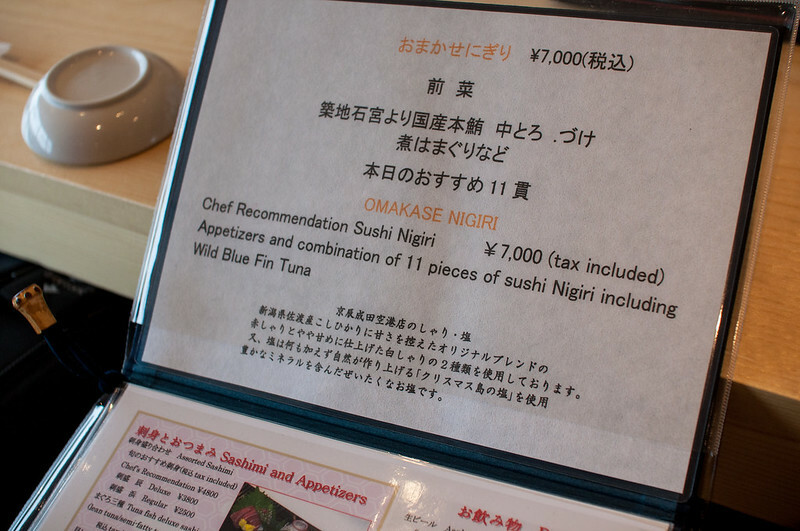 7000 yen is almost Ginza prices. I think I had the 2500 yen set, which was normal, but good. 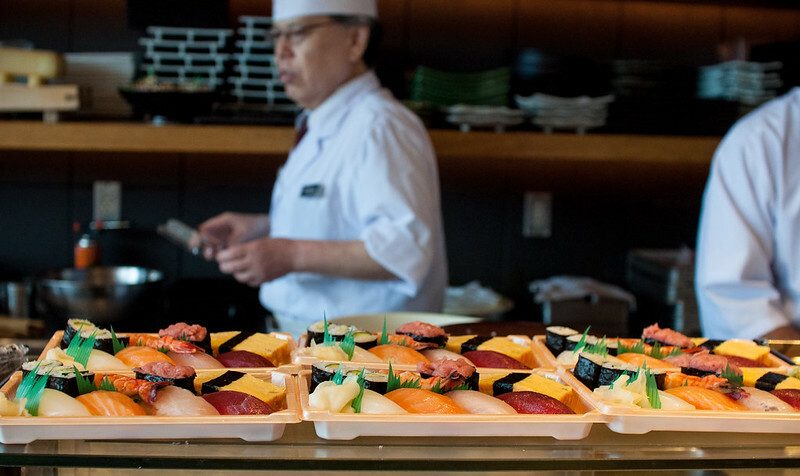 You can eat sushi for sub-3000 yen in Tokyo and get a much, much better deal. The shop also does a brisk business selling takeout boxes. I watched as these poor sushi chefs made order after order of spicy tuna rolls for a line of cabin attendants and pilots. I ate a lot more sushi in the summer (it is now winter). I'm currently planning on a 3rd website devoted to sushi, so bear with me. Sushi Adventures will hopefully launch sometime in 2015. I'll take a look at sushi from a realist point of view. Almost every sushi post on a food blog is written by people with tons of cash to spare, and the concept of spending $1000 for you and a friend to eat isn't a big deal. 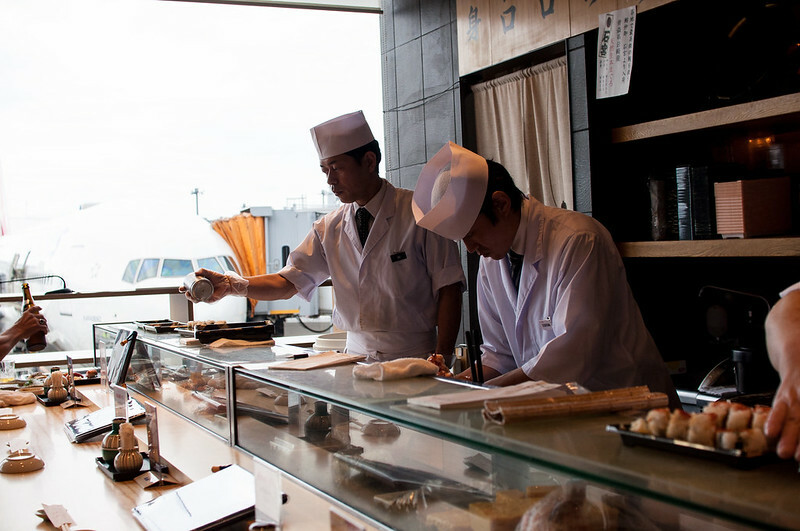 On the other side of the spectrum, posts about sushi are just casual, fun, facebook-post-feeling trips to that one shop in Tsukiji that the guidebooks tell you about (Sushi Dai is mega good though).